The various factors of fuels, weather, topography and risk are combined to assess the daily fire potential on an area. Fire danger is usually expressed in numeric or adjective terms. Most of us are familiar with the adjective terms low, moderate, high, very high and extreme. The fire danger rating of an area is a tool to help with the day to day “fire business” decisions. The above maps are simply that, tools. They are tools that can be used to start the process of informed decision making and awareness. Refer to the Fire Danger Color Guide for a description of the colors. Yesterday’s fire danger is the actual observed data, Todays fire danger is a Forecast and like all forecast is on a prediction based on evidence and science. The KBDI represents the condition of the top 8 inches of soil, The Burn Ban map is for reference purposes only. Please check with the local authorities to determine official status of Burn Bans. 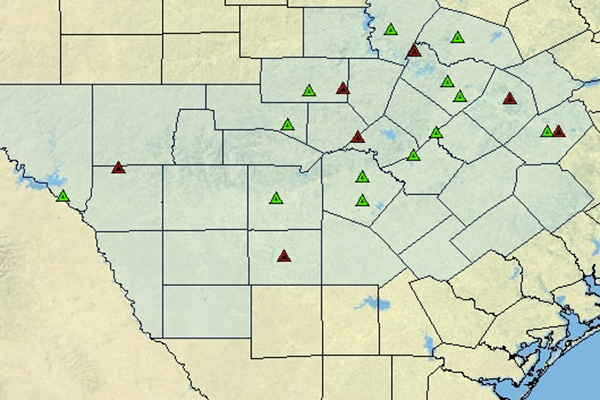 This information is gathered in part from the NWCG, Texas A&M Forest Service and NOAA. This information will assist you in finding more specific and geographical information. This page includes many helpful Fire Weather Forecast links for South Texas and the surrounding counties. 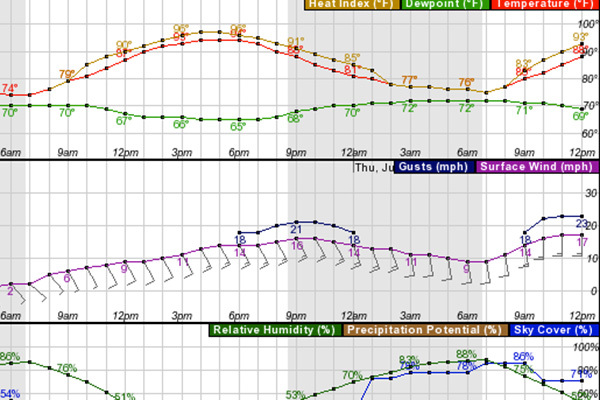 The hourly weather graph is a graphical depiction of forecast trends such as temperature, humidity, wind speed and direction, over time. The hourly weather graph is an excellent indicator of not only changes in the weather but an approximate TIME and quality of the changes. With the cooperation of your neighborhood, or Homeowner's Association, a San Antonio Fire Department member can conduct a fuel assessment of your neighborhood. The information will identify the level of threat your neighborhood faces should a wildfire occur nearby, as well as identify resources available to firefighters. A completed report will help firefighters better protect the residents and their property and may highlight actions the homeowners can take to better prepare their property from a wildfire.